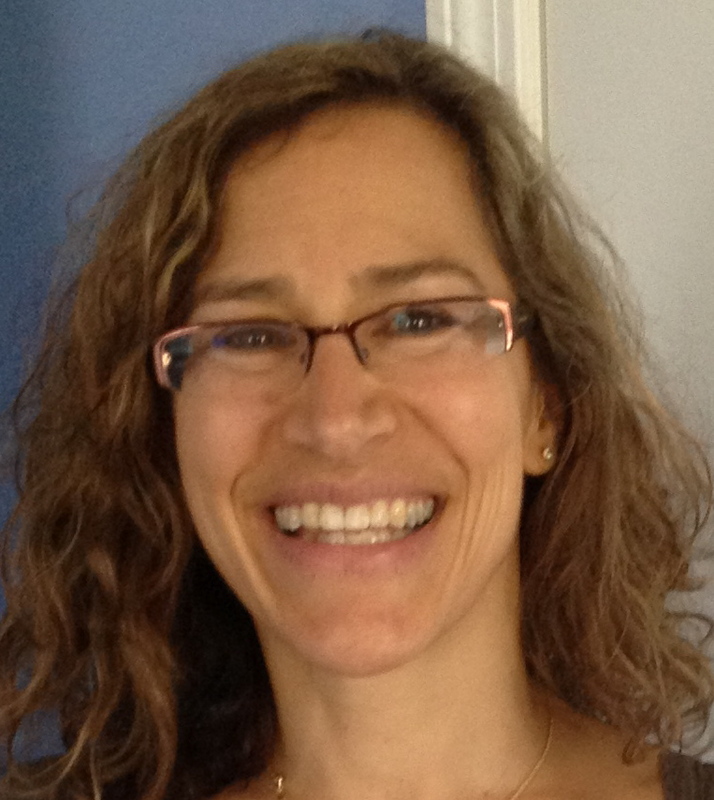 News from ActiveTravels: What's New for 2014? We got a kick out of seeing all your holiday cards with photos from trips we helped design! Nothing makes us happier than seeing the smiles of our clients as they pose in front of the Eiffel Tower or grin at the peak of a New England mountain after a strenuous hike. Feel free to post photos to our ActiveTravels Facebook page as well after you come home so we can all soak up some of the fun you had on your vacation! For this month's newsletter we are shaking it up a bit. Yes, nothing like a new year to be bold and try something entirely different. I'm sure all of us who are dealing with the frigid cold temperatures and snow shoveling of these past weeks have been busy imagining themselves somewhere warmer or just far away from the reality right now! I know I am. So, we thought we'd give you some ideas of fresh new travel ideas for 2014. We are straying from our traditional format and offering you a curated collection of all that's new for 2014. Read on for ideas for romantic hotels for couples, fun family resorts, exciting tours, new cruise ships and itineraries, and several countries to visit this year before they get discovered. 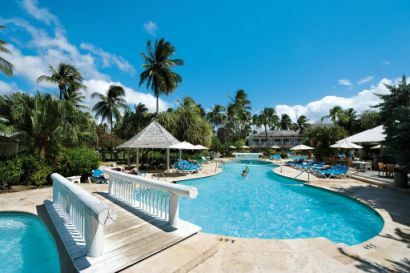 Fans of family-friendly Beaches resorts in Jamaica and Turks & Caicos will be happy to know that Beaches announced recently that they will be taking over the Almond Beach Resort in Barbados. Projected opening date is November 2014. Expect a long stretch of silky white sand and numerous pools and staff to entertain the kids all day. Barbados is one of our favorite Caribbean destinations. If you can tear yourself away from the resort for a day, hop on a tram into Harrison's Cave to see the 100-foot high Great Hall teeming with stalagmites and stalactites. Also stop at the Barbados Wildlife Refuge, home to green monkeys that were first brought to the island as pets of slave traders in the mid-17th century. The big news from the Big Island is the reopening of the Volcano House after a 3-year renovation. 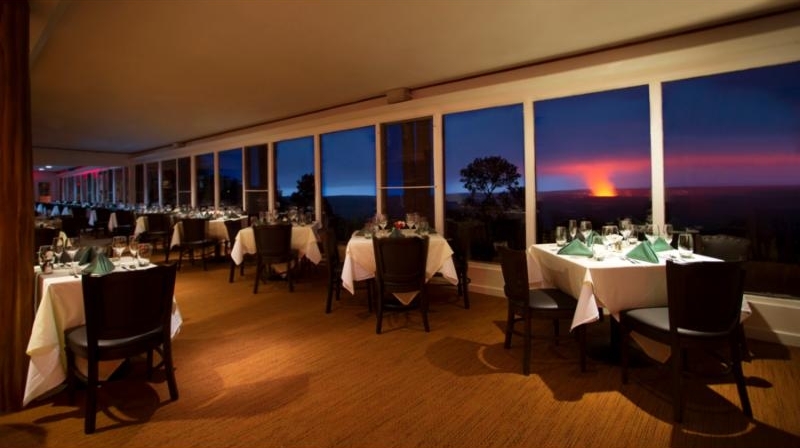 The only property inside Hawaii Volcanoes National Park, the 33 guestrooms have views of Kilauea Volcano, where the glow of lava at night can often be seen. 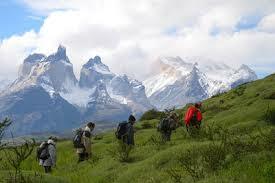 Guests can take free walking tours with volcanologists and rangers from the National Park. Or spend the morning biking on a road that circles the entire park, a memorable ride I once did on a Backroads bike trip. 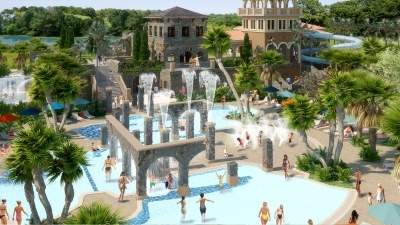 Austin Lehman Adventures was recently acquired by Xanterra Parks and Resorts and renamed Austin Adventures. It seems like a good match. Few people know North America's national parks better than Billings-based Dan Austin. Combined with Xanterra's lengthy list of national park lodges, Austin Adventures can now create the perfect itinerary. We were fortunate to bring our family of four on an ALA trip to the Canadian Rockies two summers ago and it's still the trip we use to gauge all other family vacations. New for families in 2014 is a Wild West Adventure in Montana and a multisport adventure in Belize. Hot o ff the success of Disney's latest animated film, "Frozen," Adventures by Disney is offering a tour to Norway based on the movie this summer. The itinerary features activities derived from the adventures of the film's main character, Anna. Soccer fans, take note. GoWay Travel has packages to Brazil this summer that includes flight, lodging, transport, and those all-important tickets to the World Cup games. Micato Safaris, voted the #1 World's Best Safari Outfitter by Travel and Leisure a record nine times (and another personal favorite), has just announced a 16-day family safari the summer of 2014. 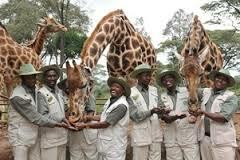 Start in Nairobi, then head to the remote Laikipia region, Maasai Mara, Serengeti, and Ngorongoro Crater. File under "Trip of a Lifetime." 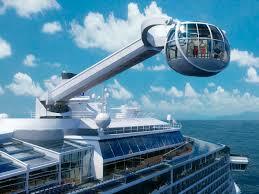 Royal Caribbean International is trying to out-do themselves with their newest mega-ship, Quantum of the Seas. The ship will be based in a new $70 million cruise terminal at Cape Liberty in Bayonne, New Jersey. It will operate seven to 12 night Caribbean and Bahamas sailings during its inaugural season beginning on November 23rd. Cool features that your kids will love include: the North Star, a glass pod that will transport 14 people more than 300 feet above the ocean on what looks like a giant cherry picker; RipCord, a virtual experience of sky-diving; and Sea-Plex, an indoor sports and entertainment complex with bumper cars, roller skating, circus school with trapezes and a full-size basketball court! 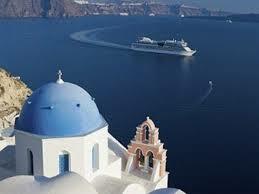 L ouis Cruises offers a much smaller cruise ship specializing solely in Greece. Their ships accommodate only 1,200-1,600 passengers and will sail to the quintessential Greek islands like Mykonos, Santorini and Crete, but will also add in less visited islands to get the "real Greek experience." New destinations for 2014 will include the islands of Samos, Milos, Kos in Greece as well as Cesme and Bodrum in Turkey. On board their ships, they serve locally sourced Greek cuisine of fish, legumes, feta and Greek olive oil and herbs and spices like saffron, oregano and basil. Silversea Expeditions is offering something new and exciting: their Silver Galapagos ship, which holds 100 passengers. 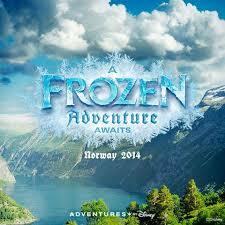 Their premiere voyage begins January 25, 2014. On board the small ship will be an expedition team of renowned zoologists, naturalists, writers and photographers. You can choose from two different Galapagos itineraries while enjoying the great food and wines and personalized service on board. Sailings are all year round with the exception of September. 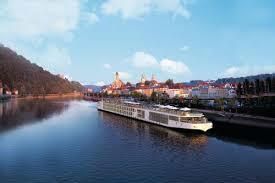 Downton Abbey, is introducing 14 new Viking Longships on European river itineraries. Their new Bordeaux itinerary caught our eye: 8 day cruise through the famous wine region on the Dordogne, Garonne and Gironde rivers. 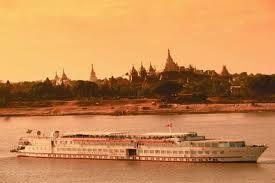 Orient Express's Road to Mandalay luxury ship carries only 82 passengers and sails the Irrawaddy River in Myanmar. They have 3, 4, 7 and 11 night itineraries between Bagan and Mandalay and feature all the creature comforts of swimming pools, gym, observation deck and fine dining in their restaurant. 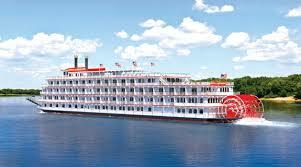 American Cruise Lines has a new Mississippi River itinerary for 2014. Sail on their newly renovated paddlewheel ship, Queen of the Mississippi (holds 150 passengers), and sail through six states between St. Louis and New Orleans. Local experts and historians add to the appeal with onboard lectures. with private plunge pools, two restaurants, beach bar, spa, fitness center, pool, library, tennis court, organic garden and orchard, a pearl shop, and numerous water sport opportunities like sailing and sea kayaking on the lagoon. renewable, non-fossil energy sauces, with no sacrifice to luxury or comfort. 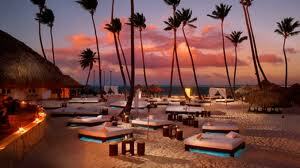 Set to open this winter on the striking white sands of Punta Cana is the 750-room adults-only Breathless Punta Cana. Expect oversized suites with ocean and garden views, balconies, international cuisine at the 4 fusion restaurants, stylish bars, large pool, and long stretch of pearly white sands to lounge or play. If you have plans to visit Costa Rica in 2014 and you want a luxurious retreat, consider staying in the Arenal region at the new Nayara Springs. 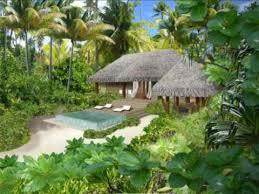 Sister property to the Nayara Hotel, Spa & Gardens, Nayara Springs boasts a collection of 16 private villas. Built atop a mountain in the rainforest, the new property is surrounded by creeks, natural hot springs, and, of course, exquisite views of Arenal Volcano. The highlight will be the pools fed by mineral hot springs that are built into every villa. In addition to full butler service, all accommodations will feature a private garden with open air shower, as well as indoor and outdoor lounging areas. The villas are located steps away from a spa, yoga pavilion, oversized adult pool, and piano bar. At the poolside restaurant, Amor-Loco, guests can enjoy Latin American inspired sushi, fresh grilled fish and vegetables grown at the hotel's organic garden. The hotel is approximately a 2 ½-hour drive from San Jose Int'l Airport and transfers are available for an additional cost. 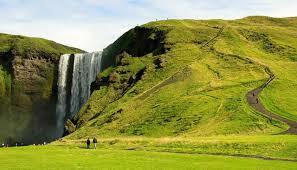 Iceland plays an important role in the movie. Other television series like Game of Thrones also adore Iceland's mix of fjords, mountains, and hot springs as their backdrop. A popular destination for Europeans these past two decades, Iceland is finally catching on with Americans. The most acclaimed drive in Iceland is the Golden Circle, with stops at Tþingvellir, the historic rift valley where the Icelandic parliament first convened in 930 AD; Geysir, the geothermal hot spot that lent its name to all geysers; and the majestic Gullfoss waterfall. After the drive, it's time for a dip in the Blue Lagoon, Iceland's most famous geothermal pool. It's no surprise that Iceland is on the minds of many of our clients for upcoming travels this summer. 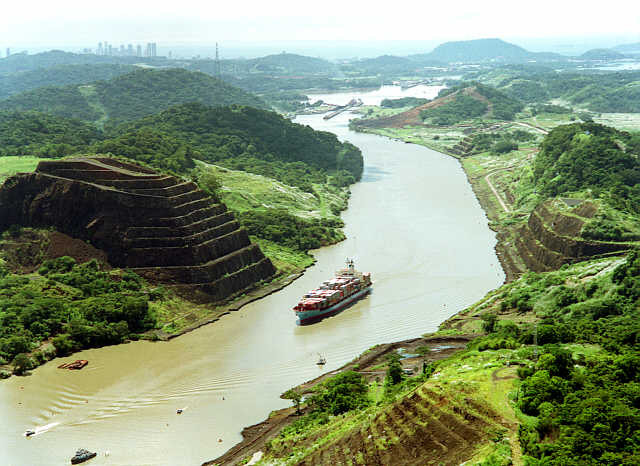 The Panama Canal turns 100 in 2014. That alone will garner the country much press. But we like the fact that Copa Airlines, the wonderful Panamanian airline, is now offering direct flights to Panama City from Boston. At this point, there is no direct service to any other Central American country from Logan, including Costa Rica and Belize. What you'll find is the same rainforest, exquisite coastline, eco-resorts, macaws, and howler monkeys you'll find in Costa Rica with far less traffic. Upscale lodgings like the Waldorf Astoria are also starting to pop up on the Panamanian map. 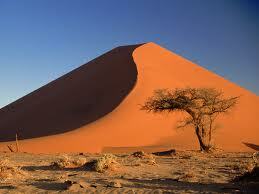 Go there now before it becomes overbuilt. T his past November, the travel world descended on Namibia for the annual Adventure Travel Trade Association (ATTA) conference. Jaded travel writers that I've known for years came back to the States raving about the destination. If you're looking for a safari locale but don't want to deal the hordes in the Maasai Mara, Serengeti, or Kruger, consider Namibia. On a 10-day to 2-week trek, you can track desert-adapted black rhinos, elephants, zebra, giraffes, and kudu, and predators such as leopards, lions, cheetahs, and spotted hyena on walking and jeep safaris in the Palmwag Reserve; marvel at Etosha National Park's massive lunar-like mineral plane while on the lookout for impala, springboks, elephants, and zebra; step into a sea of red, mountain-high sand dunes in Sossusvlei; lunch at Walvis Bay alongside a flock of flamingos; cruise Namibia's Atlantic coast, getting up close with Cape fur seals and dolphins; and drive along the game-rich Ugab riverbed past the second largest monolith on earth to Damaraland.